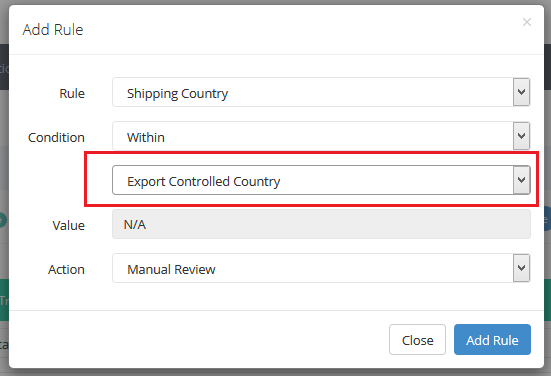 What is export controlled country validation? Be cautious with orders coming from embargoed countries. Different countries will have their embargoed country list regulated that you shouldn’t export any goods to. 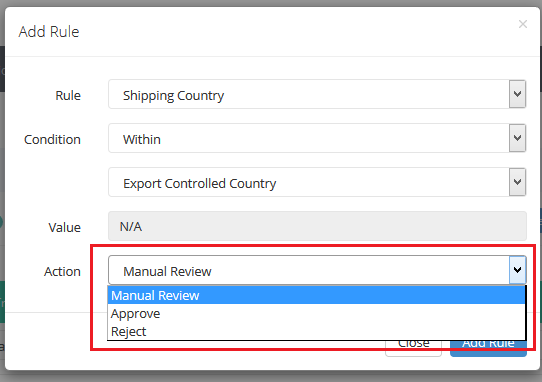 You may have good knowledge about the embargoed list of your country, but filter those out could be a daunting task if you had many orders transacted in a day. 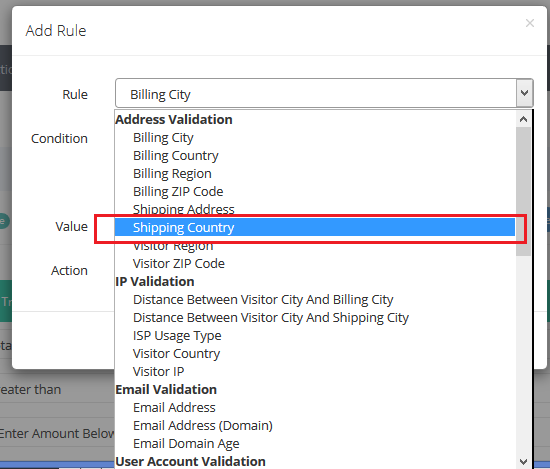 Good news is, this exported control rule will make your task a lot easier. Below are the example of export controlled countries for United States. 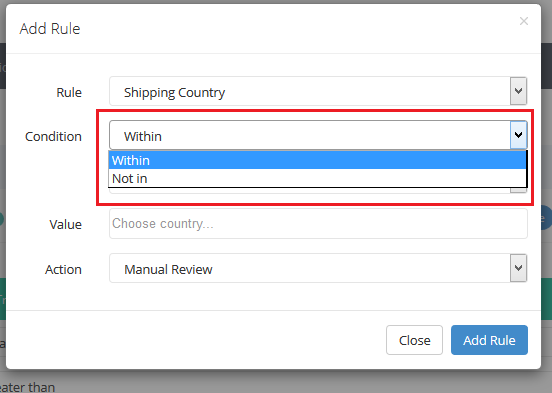 Select Shipping country under the Address Validation category. Choose the action you want.